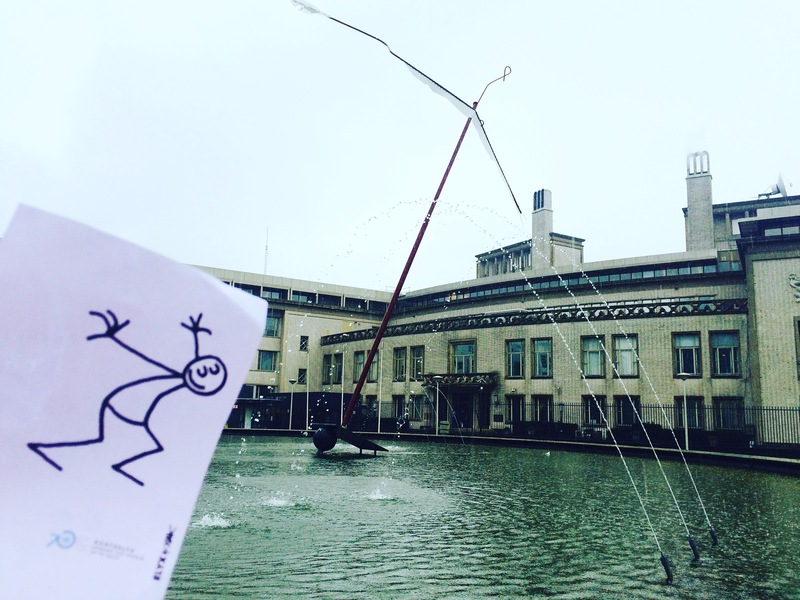 Elyx arrived in the Netherlands, just in time to celebrate International Day of Peace. 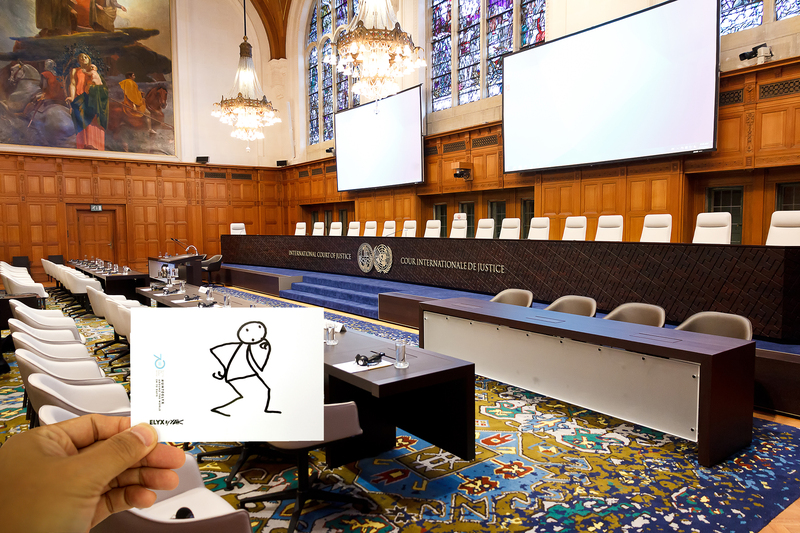 In The Hague, Elyx was greeted by representatives from the International Court of Justice (ICJ). 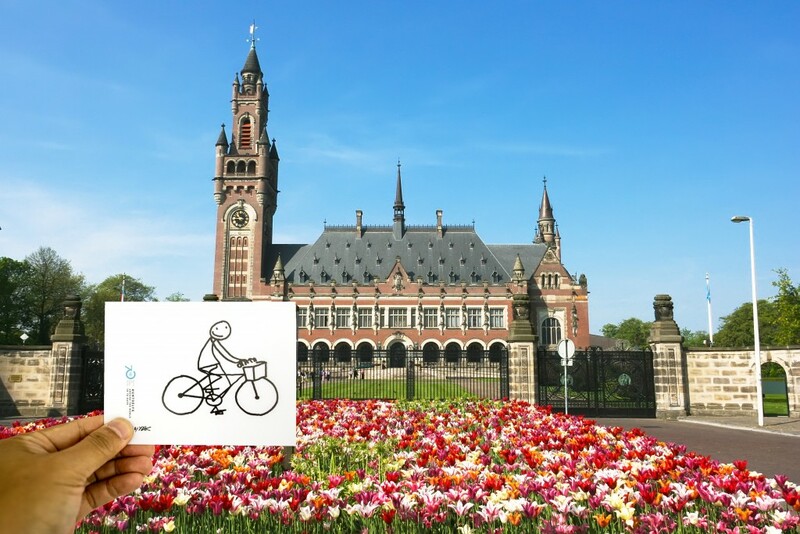 Like most people in Holland, Elyx rode to the Peace Palace, home of the ICJ, by bike. (Did you know that in The Netherlands there are more bikes than people?) The ICJ is the principal judicial organ of the United Nations and is the only principal UN organ outside New York. The Court was established in 1945 and began its activities in April 1946. The first case to the Court was submitted in 1947 and since then, 161 cases have been entered in the Court’s ‘General List’. Elyx arrives by bike (of course!) at the Peace Palace (The Hague), home of the International Court of Justice (ICJ). The ICJ has two roles. One is to settle, in accordance with international law, legal disputes submitted to the Court by States. The Court’s second role is to give advisory opinions on legal questions referred to it by authorized United Nations organs and agencies. The court is made up of 15 judges who are elected for nine years by the General Assembly and the Security Council. The ICJ, also known as the ‘World Court’, is the only court of universal character with general jurisdiction. The ICJ is not the only international judicial institution in The Hague. 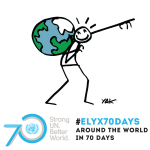 Elyx also took some time to stop byICTY, the International Criminal Tribunal for the former Yugoslavia, an ad hoc court created by the Security Council, and the Special Tribunal for Lebanon, an independent judicial body established by the SC on the request of the Lebanese government. Another important international court in The Hague is the International Criminal Court. The ICC is a permanent court – independent from the UN – that tries persons accused of the most serious international crimes, such as genocide, crimes against humanity and war crimes. Elyx considers a dive by the International Criminal Tribunal for the Former Yugoslavia (ICTY). Elyx was impressed by the large UN presence in The Netherlands and especially by the contributions of the different courts to international peace. Elyx’s guides informed the ambassador that The Hague has always been invested in global peace and with more than 160 organizations working day in day out towards a better world, it is rightfully the international city of Peace and Justice. Today, The Hague will also be the centre of Peace day celebrations in The Netherlands. Elyx took part in some of the celebrations, but soon it was time to move on again. 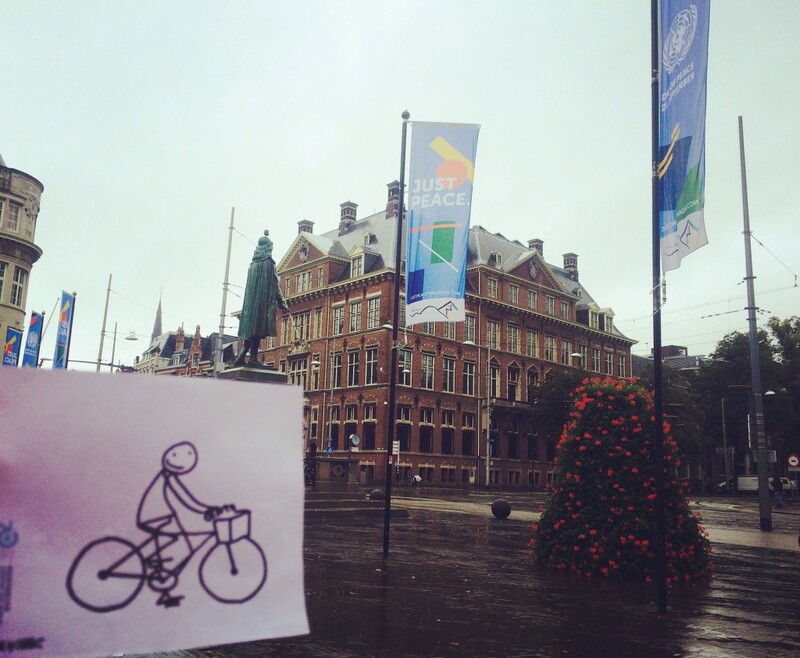 Elyx jumped on the bike and cycled to Amsterdam, the capital of The Netherlands. 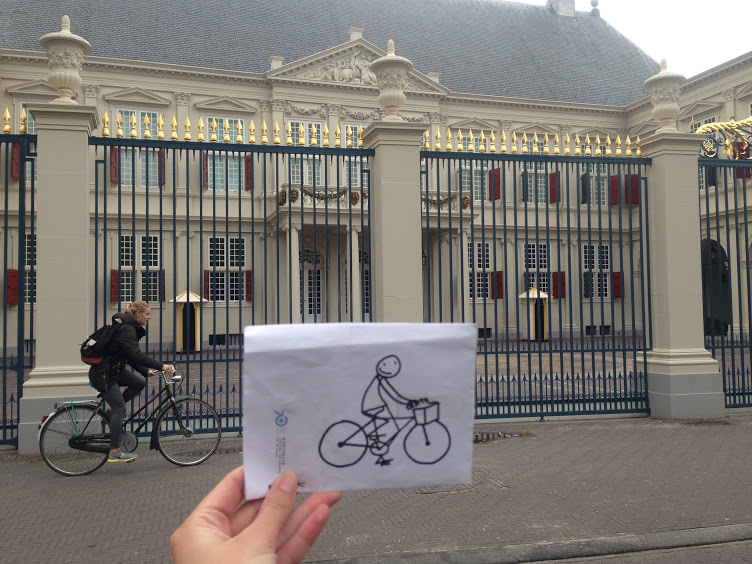 Once there, Elyx’s guides took the digital ambassador straight to the Dutch King Willem-Alexander’s Working Palace! The King had heard that the UN Digital Ambassador was visiting the country and invited Elyx to visit the palace. Elyx was beyond itself with joy and so honoured! Elyx arrives at the Dutch King's working Palace. After visiting the palace, Elyx explored Amsterdam and took some time to visit the Anne Frank House, where Elyx commemorated the end of the Second World War. Yet another wonderful exciting trip. Now time to study a little bit about the next hop tomorrow- The Central African Republic.